George A. Buder, 62, of Fenton, passed away on March 1, 2019, with family by his side. Mr. Buder, son of the late George F. Buder and his wife Ruth NEE Kuehn, was born July 26, 1956, in St. Louis. He received his education from Eureka High School, graduating class of 1974. George was a member of the Masonic Lodge in Eureka for many years. He was employed at Traffic Control Corp as a Field Service Technician for 17+ years. 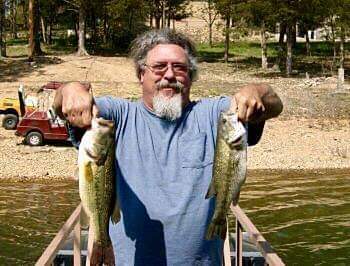 George had a lifelong passion for the outdoors, most importantly fishing and hunting. Mr. Buder was preceded in death by his parents; two brothers, Charles and Roy Buder; as well as a grandchild, Trinity Conway. Among his survivors are three children, Michael Buder of Pacific, Linda Arledge and husband David of Festus, and Dana Hodge and husband Brian of Barnhart; brother, Robert Buder and wife Nyhla of St. Charles; two sisters, Susan Resinger and husband Bill of Leadwood and Carol Williams of Pacific; eight grandchildren, Ian, Tempest, Ayden, Lendon, Riely, Graedy, Steven, and Teagan; among other relatives and friends. A visitation will be held on Thursday, March 7, 2019, from 5-8 P.M. at Nieburg-Vitt, Thiebes Funeral Home. The funeral service will be held on Friday, March 8, 2019, at 11 A.M. at Nieburg-Vitt, Thiebes Funeral Home, with interment in the Pacific City Cemetery. Memorials are requested to the Missouri Department of Conservation or the Siteman Cancer Center-Multiple Myeloma Research.